When Anthony Joshua beat Charles Martin to claim the IBF World Heavyweight title in April, it propelled him into the upper echelons of boxing. A couple of months later, when the Englishman defended the title for the first time against another American, Dominic Breazeale, Joshua became a global superstar. 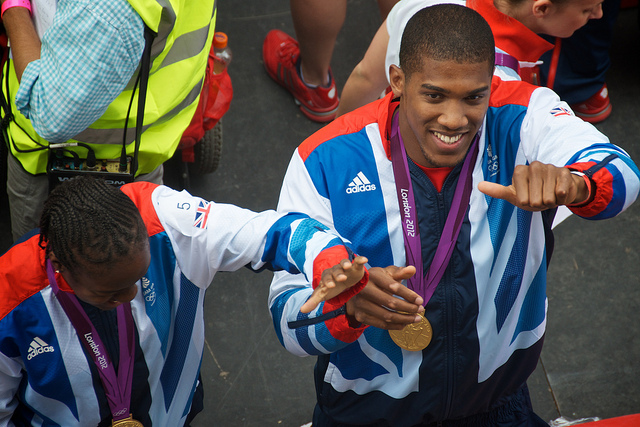 While the 2012 Olympic gold medallist has been fast tracked ever since turning professional, Joshua has done everything that has been asked of him, and a lot more. The question is what’s next for one of boxing’s most likable, yet fearsome, stars – a man many feel is set to replace Floyd Mayweather as the sport’s pay-per-view king. Sooner or later, Joshua is going to have to face hard-hitting Kiwi Joseph Parker, the mandatory for the Londoner’s IBF belt. The New Zealander has been accumulating a string of impressive wins Down Under over the past couple of years, cementing himself as the next man in line for a shot at the IBF strap after outpointing Carlos Takam in May. Since then, Parker added another knockout victory to his growing collection, stopping fellow Kiwi Solomon Haumono in July. Despite finding himself in the number one spot with the IBF, Parker clearly feels he isn’t in the running to face Joshua anytime soon, scheduling a fight against experienced Russian Alexander Dimitrenko for the beginning of October. That said, a fight towards the end of the year is definitely a possibility for Parker and Joshua. 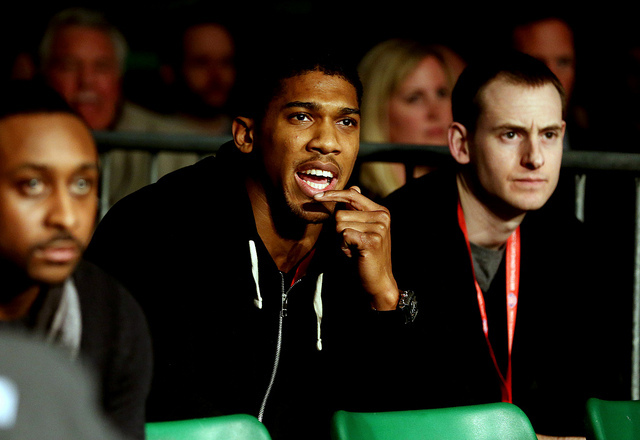 The most lucrative option for Joshua would be an all-British clash, be it against Tyson Fury or David Haye. A unification fight with current WBA, WBO, IBO and Ring Magazine champion Fury would not only be a massive fight in the UK, but one that would have the world’s attention. Despite beating Wladimir Klitschko to become the undisputed heavyweight champion, bookmakers such as 32Red Australia currently have Fury at evens while Joshua is priced at 4/5. That might not be the same story if the Olympic gold medal winner stepped into the ring with David Haye, someone punters heading to 32Red or 888sport know is capable of knocking anyone out. The former WBA heavyweight champion has made a somewhat underwhelming return to the sport, but an all-British clash against Joshua would certainly help prove Haye is serious about boxing again. America has certainly sat up and taken notice of Joshua over the past 12 months. While heavyweight boxing hasn’t been big in the States since the turn of the century, the appetite for it has never gone away. Having knocked out two highly respected American fighters in Martin and Breazeale, Joshua has shown television audiences across the Atlantic what UK fans have been enjoying for the past three years. The next step for the Englishman will be to fight in America, especially Las Vegas. While the most obvious choice in terms of opponent would be WBC champion Deontay Wilder, that appears to be something both parties feel should be built up. That would open the door for someone like Bermane Stiverne, an experienced former champion who is known to American audiences. Another potential option for Joshua, at least in the short term, would be a match-up against someone who could give him some rounds. Still yet to go beyond the seventh round, there is a feeling that the 26-year-old needs to be taken into the later stages of a fight before he is really ready to go in against one of the other heavyweight champions. One name that has been linked with Joshua since his last outing has been current European champion Kubrat Pulev, a man whose only loss as a professional came against Wladimir Klitschko. The Bulgarian might be 35 years old, but Pulev has proven himself as an elite heavyweight throughout his career, most recently beating the durable Dereck Chisora to clinch the European belt. The noises coming out of Joshua’s camp appear to be hinting that it’s between Joseph Parker and Kubrat Pulev. Both men would make for interesting fights, posing challenges that Joshua has yet to face during the early part of life in the professional ranks. Based on his career so far, though, it’s hard to see how either would be able to stop the Englishman from going on to cement himself as boxing’s biggest star.